L588 (51079, 59437 & 51107) passes Lower Basildon on 25 January 1986 with the 2F32 11:01 Paddington to Oxford 'all stations' service. Note the prominent red labels on the inner ends of the first two vehicles. These indicate the upgraded passenger luggage accommodation in the guards compartment of the DMBC, and the former buffet of the TS vehicle. 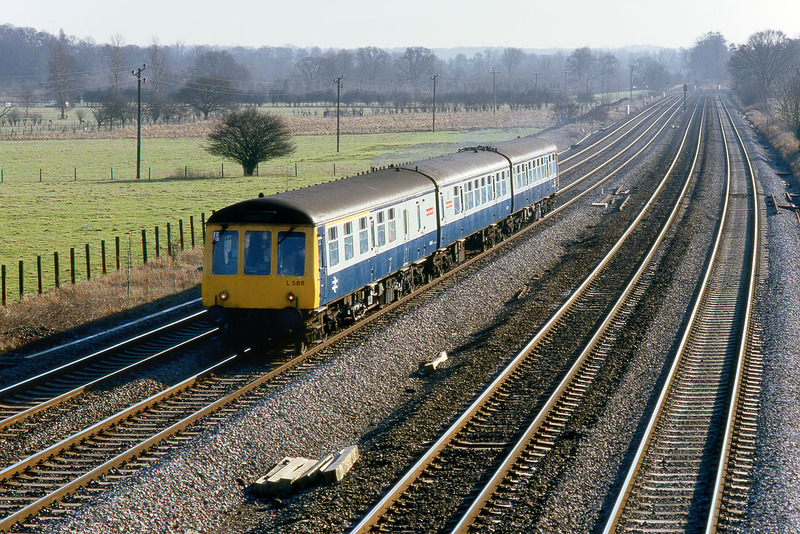 This feature was added in the early 1980s specifically for the Reading to Gatwick Airport service.